Too much kissing? Little Bear sends Grandmother a picture, and she likes it so much she asks Hen to take him a thank-you kiss. 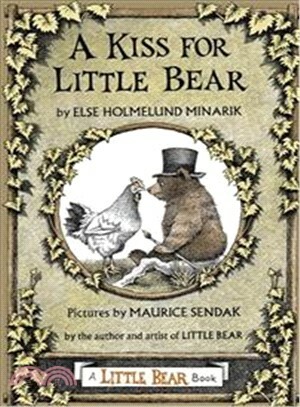 But Hen passes the kiss to Frog, who passes it to Cat, and on and on-will Little Bear ever get his kiss?